Garage sales are a great way to get rid of unwanted items and make extra money. Having a well-organized garage sale is the key to being successful. This is easy to do if you are prepared. 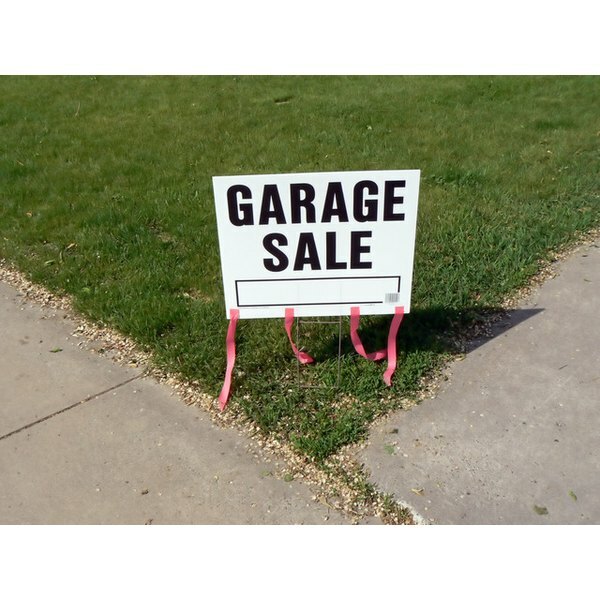 Here's how to set up a garage sale to maximize your profits and unload your extra stuff. Organize the items that you would like to sell. Start making a list at least one week in advance. Put stuff in a spare bedroom or somewhere where it will not interfere with your day-to-day activities. That way, everything will be in one location and easy to get to on the day of the sale. Place an ad in the paper or online. Advertising is key when having a garage sale to inform potential customers of the dates and times. You can place an ad in your local paper for a small fee. You can place an ad on Craigslist.org for free. Make price tags and gather tables. Do this the night before you have your garage sale. Also, organize any racks or other items that will hold the contents of your sale. Price tags are important. If you can finish most of them the night before, it will save you time. Get up early the day of the sale. Be up at least one to two hours before opening time. This will give you enough time to put everything together so you are prepared when customers start to show up. If you can get help from family or friends, that will save you time and energy. Be nice and courteous to all customers, even the rude ones. Try not to get too greedy. If you are offered a reasonable price, then take it, or you might not end up selling a lot of items. Any price is better than none. Some states only allow you to have two garage sales per year. Close to the end of the sale, mark everything half-off or even free to get rid of items.